The thought of selling your home might be overwhelming. 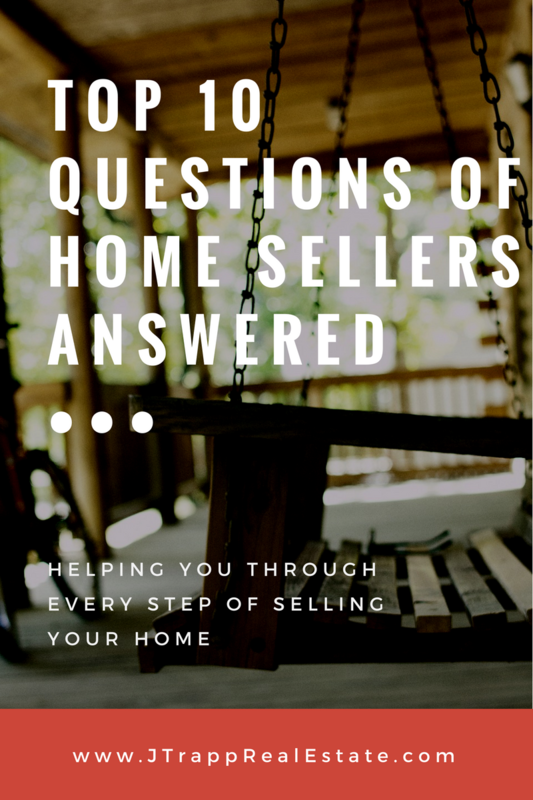 Here is a list of Frequently Asked Questions I developed for my clients that might help you through the process of selling your home. As an expert, I am here to help you through every step. Your home will be entered into the Multiple Listing Service (MLS) system within 24 hours of us getting all of the paperwork in order. If it’s a weekend, it may take a little longer. Being entered into the system means that any agent that has access to the MLS system can access your home listing. I utilize the Madison and Milwaukee area MLS sites, giving your home even more exposure. If a buyer is searching for a new listing with the special features your home has, it will pop up in their search. Most agents also have their clients set up on what is called auto-email, so your listing will automatically be emailed to buyers who are looking in your price range, area and for a home with your features, as well. Your listing will also show up on both MLS sites “hotsheet” for the first 24 hours. Every realtor that I know checks that at least a few times every day. 2. Can I let people who drive-by into my home to show it? No! It is best to have them call me so I can show it to them. You don’t need to go through the hassle of having your home “show read” all of the time. It’s important for people to set up an appointment so we don’t inconvenience you more than we already are! Also, I will pre-qualify people who show interest in your home so that we don’t waste your time showing your home to people who can’t afford to buy it. 3. Can any agent or other company call me to show my home? No! Only me or the agents from my office will contact you to request a showing. If anyone else does, please refer them to me. This helps you to know that we are pre-screening people and an official appointment has been made. 4. Should I be away from my home for showings? If possible, it’s always best to leave the home and take any pets with you while the showing is taking place. That gives the buyer a chance to move around and talk freely with their agent. Remember, we want them to feel comfortable in your home, like it could be their home. Also, the time frame for a showing is usually an hour, but I suggest to be away from you home at least a half hour before and after showing time, if possible. Many times agents take their buyers on multiple showings so delays are bound to happen. 5. Should I leave the lights on and the doors unlocked for showings? We will arrange for a lock box to be placed at your front door, or whichever door we agree on. You can lock your doors and the agent showing the home will do the same after they are done showing your home. Lights on in the house are a great idea so that people can see things clearly, but if the showing is during the day and you’re gone at work all day, please don’t feel that you have to turn all of the lights on. If you do have a showing scheduled though, it’s a good idea to leave a comfortable temperature in the home so that you make potential buyers feel comfortable. If possible, it’s always a good idea to have your home in tip top shape for showings. If someone calls on the spur of the moment while you’re gone during the day and your home isn’t as presentable as you would like it, we’ll let you decide to allow the showing or ask the showing agent to schedule another time. 7. How often will you personally show my home? Many homeowners use this as a barometer to judge whether an agent is doing a good job or not. It’s a very good chance that another realtor will bring buyers through and perhaps they’ll even make an offer on your property. If you ever have any questions about that, please contact me anytime. Please remember, we want to get people in to your home to see how great it is. What matters is that buyers are viewing it. 8. Do I need to allow for an Open House? We have found that open houses rarely bring serious buyers. Lots of times, the neighborhood “looky loos” tend to show up out of curiosity or nosiness. So it’s up to you whether or not we have an open house. If you choose not to and things are moving slowly with showings, we can always schedule one at a later date. 9. Do I need to be available for you to contact me at all times? Yes! Well, sort of. You don’t have to worry about me calling you late at night or early in the morning for showing requests, but I will need to be able to get in-touch with you throughout the selling process. I’ll also need to know if it’s okay for me to contact you at work. If voicemail, text, or email is the best way to communicate, that’s fine too. Just let me know what works for you and I’ll put that in our company’s showing instructions. Please note: Don’t forget to let me know if you’re going away for the weekend or you’ll be gone on vacation, so I can get special showing instructions from you. When you get your home ready to show, please place any valuables, jewelry, cash, guns, etc. away from view. It is best and safest to be careful with those types of personal items. We obviously have the same goal – to get you the best possible price for your home, in the shortest amount of time, with the least amount of inconvenience to you. No two home sales are the same. I work diligently to make sure my clients understand things and answer all questions as we go through the process.